At Kool Kingdom we are completely dedicated to providing you with everything you need in a collectable card site. If you have any suggestions or comments on how we could improve the site for you, or for new products that you would like to see us stock, then please e-mail us at info [at] koolkingdom [dot] co [dot] uk. Copyright © 2003 to 2019 Kool Kingdom Ltd. All rights reserved. Information in these documents is subject to change without notice. Making a purchase could not be easier. 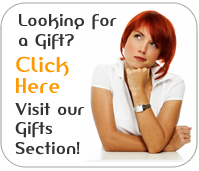 Just browse our Catalog, or use the search facility, and then click on any items that you wish to buy, select the quantities that you want to buy and put them into the shopping cart. You will be able to amend quantities or delete items whilst in the shopping cart. After you have finished your selection, click on "Order" and you will be asked for a few details that we need to be able to satisfy the order. We accept credit and debit card payment via Visa, Mastercard, Delta and Switch and we also accept payment via PayPal. If you are shopping from Europe, North America or anywhere else, when you place your order, your credit card company will convert the transaction to your own currency. You would normally enter your credit card information through the secure area on the site or via the secure PayPal site. Alternatively, you may provide your credit card information via phone, fax, or post if you prefer. We are also happy to take payment by cheque, postal order or bank transfer. If making an international transfer we will supply our Bank IBAN number on request. Please make any payment out to Kool Kingdom Ltd and please remember to enclose your order number, otherwise we will not know necessarily who the payment is from! We are not able to take payment in foreign currency notes, unless otherwise agreed, or via a Western Union transfer, American Express or Diners Club card payment, other than via PayPal. Discount Coupons advertised or provided can be used during checkout in the box provided as long as they are eligible. In the case that they are not eligible (for instance the coupon requires a secondary action to be valid such as selection of a certain shipping class) then we may contact you to ask for payment for any price difference, or alternatively we may cancel the order and refund you. All discount coupons only apply to the value of the actual products and not to post and packing charges. In a similar fashion, discount coupon minimum spend thresholds are measured by the value of the goods excluding post and packing. In the event that you order goods that are marked as not in stock (e.g. 'backorder'), as part of an order, which are subsequently cancelled, then we rerserve the right to cancel the discount applied to the order if the cancellation means that the discount minimum spend achievement threshold is no longer achieved. When order confirmation is sent, this is to indicate that we have received your order. It does not indicate that a contract exists between us. We will indicate acceptance of your order, and hence a contract between us, when we send you an invoice. We have included this term in case a mistake has been made in pricing, or we are no longer able to supply a particular product for some reason. In the case of a change of price, we will always contact you first to ensure that the price is acceptable. For the purposes of this clause the "delivery charge" means the third party charge for delivering the items ordered. The delivery charge does not form part of the purchase price of the items ordered. The delivery cost will be dependant on the weight of the items and the method of shipping. We will advise you of the delivery charge either via the checkout options or in certain case by phone, prior to the contract coming into effect. All UK items under £40 (net of VAT) are despatched by first class post in the UK or by Airmail outside the UK, unless otherwise requested, and charged by weight at standard Post Office Rates for this service. There is also a notional charge for handling and packing of 50p plus 10% of the delivery charge. For UK orders over £40, we may chose to despatch by Royal Mail First Class Recorded Delivery, depending on the items being ordered. You are not charged for the Recorded Delivery in these cases, unless you specifically request it. Orders over 0.5 Kg in weight can only be sent by a tracked service such as Recorded, Special or Courier Delivery. International Registered Mail orders are sent by 'Royal Mail International Signed' or 'Royal Mail International Tracked and Signed', which includes an insurance cover of £500. We do not notify you of tracking numbers but these can be provided on request by calling customer services on 01483 222070 or by using the online order look-up feature from our home page. We do not always show Recorded Delivery tracking numbers. Shipping for orders over £225 is free of charge for UK inland shipment, except during main sale periods when this limit may be raised or removed for the duration of the sale. We will send orders that are free of shipping costs by the most cost effective insured service, irrespective of the shipping method selected. Normally this would be courier, for which someone will need to be present to sign for the delivery. Please also note that Couriers can not deliver to a PO Box as this is not a physical address. Therefore when placing Courier orders please ensure that you give your actual address. Please also note that neither Royal Mail nor the Courier Companies either collect or deliver on bank holidays. We will take orders over the phone if you prefer, but in these instances we reserve the right to add an admin fee of £1.50 plus VAT for each 5 minutes that one of our team is on the phone with you. This fee also applies to other services we offer such as pricing cards that you may wish to sell us, finding unusual cards that you want that we do not normally stock, etc. For International orders it is your responsibility to pay any import duties and other charges. If for any reason we have to pay these then we will require re-imbursement in full via credit card, PayPal or bank transfer. Shipping Charges for International orders from overseas wholesale customers will be taken separatelyby Credit or Debit card when the order is ready to ship unless the ystsem requests payment whne the order is placed. If or some reason your order does not reached you, then please contact us and also check as soon as possible with the local Sorting Office, especially if the package was bulky or sent by Recorded, Special Delivery or Airsure International Signed For post. Alternatively please contact the local Courier Depot if appropriate. If it still cannot be located after 21 days, then we will offer you the option to have it resent or refunded. These must be notified to us in writing by e-mail within 12 hours of placing the order or by noon on the day that the order was placed, whichever is sooner, to ensure that we have time to amend the order prior to shipping. If the order has not already been shipped, we will still attempt to act on instructions received outside this time frame, but there may be a charge to cover any direct costs incurred. In the event that the order has already been shipped and writtem instructions not received in time, then we reserve the right to request a payment to cover any direct costs we incur. Please note that we must have clear instructions in writing for changes please, not by phone, to avoid potential misunderstandings. Order cancellations resulting from non complaince with this requirement will be refunded in full minus the actual shipping costs that we have incurred. We will process your order as soon as we receive it and we would normally send your order to you within 1 to 5 business days, except around bank holidays and exceptionally busy periods such as the weeks leading up to Christmas, Easter and during Sales, or if we have to track down an out of stock item, when delivery could take longer. In any event, all orders will be despatched within 30 days. International orders are generally received in under 10 working days. 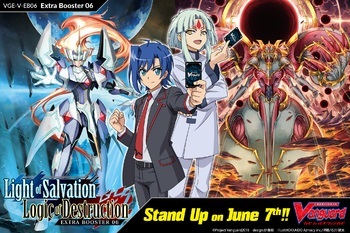 Due to the popular nature of the items we supply and their increasing shortage in the market of some items, especially the single cards, it is increasingly possible that an item might be out of stock at a particular time, especially the top tournament cards. In this event we will endeavour to source it for you as soon as possible. This means that your order could take up to two weeks to ship whilst we go through this process, so please leave sufficient time. If we cannot source the items in this timeframe, or if you have requested Next Day Special Delivery, then we will ship the rest of your order in the interim. Please use the comment box made available during checkout if there is a specific deadline for your order (Tournament, Birthday, etc.) so we can do our best to ship in time to meet your deadline. Please note that selecting Special Delivery or Courier Service does not alter our shipping timescales unless you request otherwise and we are in a position to accomodate this request. We will take all reasonable endeavours, however, to despatch Special Delivery or Courier orders received by 12 Noon Monday to Friday, on that day, for delivery the next working day. If you want to guarantee Saturday Delivery in the UK, then please select the Special Delivery - Saturday Guarantee service and order by 10am on the previous Friday. Please note that goods are not reserved for you until we receive payment. If you have selected to pay offline then we cannot guarantee that the items will still be in stock or at the same price when you make actual payment. Due to the increasing rarity of mint condition popular cards, we limit most purchases to the maximum needed for a playing hand in the particular game (e.g. 3 in YuGiOh). Sometimes if the card is very hard to obtain we will limit to a lesser number to ensure that all our customers have a chance of purchasing the card. In this event, please do not place multiple orders without checking availability with us via e-mail first, as it is likely that we will have to cancel the repeat orders, and reserve the right to do so, unless we have said that we will be able to honour them. In the event that we do cancel any additional unauthorised orders, we will also have to pass on the charges we incur from the payment agent / credit card company. This applies to orders from either the same name or different names at the same address. If in doubt, please call us first. If your item is not likely to come in stock within a reasonable time, we will back order it for you. If this means that you may have to wait more than 28 days, provided that it is not "Out of Stock", "To Order", "Special Order", "Back Order", "Pre Order", or marked with an estimated waiting time such as "short wait" ('Special Order'), you will be e-mailed with the option to cancel your order in case you would rather not wait, in which case we will either offer you a store credit or refund the element of your order relating to the out of stock item(s). If we feel that there is no reasonable chance of getting your goods in a reasonable time frame then we will cancel and process a refund for the item(s) at the time we process your order. If you elect to cancel an item that was not in stock at the time that you made your order, then, provided that it is not a Special Order item, a refund will be applied back to the debit or credit card used for the purchase for the actual item less any discounts given against the item. Where the order included a free or reduced price item triggered by the value of the order, this free or reduced price item must be returned in the same condition it was sent, if the value of the order drops below the original trigger value as a result of the refund for the cancelled item(s). If the free or reduced price item is not returned the refund will be reduced by the normal site price for the item (less any charge for the reduced price item). Any per order discount applied may also be removed to reflect the revised order value if the qualifying threshold is no longer reached and any adjustment taken off the refund. When returning merchandise, please include a note with your order number and the details of the return. Refunds will be paid in the same form that they were paid unless otherwise mutually agreed. If a cheque refund is requested and the original payment was not by cheque, then we will deduct £1 and 4% of the value of the goods cancelled from the refund to cover our direct costs and the lost commission that we have had to pay the payment service provider which will not be refunded to us. PayPal refunds can only be made within two months of ordering under PayPal's own policy. If a refund is requested outside this period then a store credit will be offered instead. For Special Order items, we will normally only provide a store credit if you elect to cancel your special order to avoid the Special Order Cancellation Charge. Where you have ordered Special Order Items amongst in stock items and we have elected, or you have asked us, to ship the in stock items then it is at our discretion whether we leave the Special Order items on back order or cancel them. It is also at our discretion, in the event that we cancel the items, whether we issue you with a refund or a store credit and whether we apply the special order cancellation charges of 20% that cover our Payment Service Provider fees and administration charges. Larger special orders would normally receive a store credit. 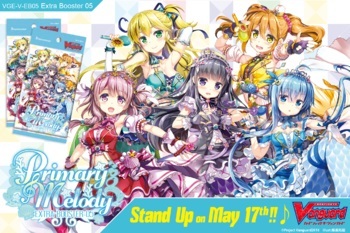 Pre-orders will normally be shipped first to the UK customers and on a first come first served basis in the event of manufacturer allocations. Outstanding pre-orders will be shipped when the reprints are available in these cases. Cancellation of pre-orders carries a cancellation charge. In the case of items marked specifically as Special Order, we are offering a service to you, at the point that you make your order, to order the goods in specifically to meet your order, which can often take some time, and therefore these items cannot be cancelled nor returned by you, unless they are faulty, and your cancellation rights under the distance selling regulations do not apply. If you would still like to cancel, then, as long as the goods are not in transit, we may agree to this request and either offer you a store credit or a refund. In the case of a refund we would withhold 20% of the value of the items as a service fee. For Special orders, it is best to place the order separately as this way we will not hold other items that you may have ordered at the same time until the item comes into stock. It is at our discretion whether we ship the remainder of an order containing a pre-order or special order, at the time or wait until the item comes into stock, but the likelihood is that we will hold your whole order until the item comes into stock, or ask you for additional payment to cover the double post and packing costs. We also reserve the right to charge the additional shipping costs for each shipment. If you want to wait to pay for a pre-order, then you must order the item or items separately and supply us with your credit card details separately at the time of placing the order, by calling in with your card details. Alternatively you may send a cheque. We will then hold these on file until the pre-order is ready to ship. If you pay through WorldPay or PayPal (i.e. on-line) then payment will be taken immediately in the normal way. If we have not been able to deliver Special Orders within 3 months, we reserve the right to cancel the order and refund you for the amount of the item, subject to the adjustments outlned below, or the value of the whole order if the whole order was subject to the backorder or pre-order. Please note that back-ordered items will be shipped firstly to those who paid the most (as prices are changing daily) and then secondly on a first ordered basis. Pre-Order Items will be allocated if we have our supplies reduced by the manufacturer. In extreme short print situations we may have to cancel and refund the whole order. If a customer places multiple orders, then only the first order will be shipped if there is a shortage of stock and the remaining orders will only be shipped after all other orders. If there are two print waves then we will ship on a first come first served basis for Wave 1 and defer the remaining orders to Wave 2. Please note, that unless in a situation where we are not able to ship your order as a result of shortages in Wave 2, a pre-order cancellation charge of 20%( that cover our Payment Service Provider fees and administration charges) will apply if you request a cancellation. Please note that Pre-Order shipment dates are for indication purposes only, as the Manufacturers often move these at very short notice and we can accept no liability for this. The above terms relating to Pre Order and other Special Order items apply to consumer (B2C) transactions. Trade transactions (B2B) placed on line from a wholesale account or over the phone cannot be cancelled or reduced, unless otherwise agreed in writing. Our Supercard policy is designed to assist genuine customers by defining allocation rules for hard to find, higher value and popular cards. In particular it deals with new releases where certain cards may quickly sell out before our on-line systems have a chance to catch up to reflect this, or where such cards may continue to still be in very short supply and in particular Secret Rare Cards, although it also applies to other rarities on occasion, especially short-prints. 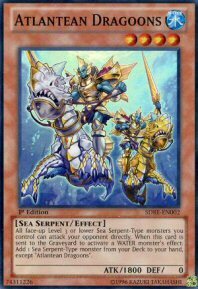 Normally such cards are limited to one (for Yu-Gi-Oh! 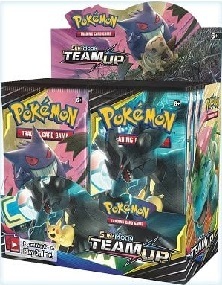 Secret and Ultra Rares) or three per customer. If there appears to be little chance of being able to find a Supercard within a reasonable time frame, especially after a new release, we reserve the right to cancel the order (where it is the only card ordered) or part-order for a Supercard. In these cases where we have to cancel and refund and where customers exceed the system restricted allocation by placing duplicate or further orders, we reserve the right to apply an admin charge of 5% of the card value incl VAT to cover credit card and other direct costs on such duplicate orders. days of delivery and then return the item(s). You are responsible for the cost of any return costs. You must take reasonable care of the item(s) and must not unpack them. In the case of special order items, eg: where we are providing a service and an item or items have been specifically obtained or imported to complete your order, then this is not covered under the 7 day period provided by the Distance Selling Regulations. We guarantee your satisfaction. In addition to your rights under the Distance Selling Regulations to return an order to us within 7 days of reciept, all of our products come with a 14 day no arguments returns policy, provided that the goods are returned pursuant to your statutory obligations in the same condition that they were despatched in and provided that they have not been specially ordered in for you as Special Orders. For example, items marked "Pre-Order", "Out of Stock", "To order" or "Back Order" against the product would fall into this category. This clause does not apply to trade transactions including those placed via a wholesale account. Most of our single cards are double checked to ensure that they are in Mint Condition prior to despatch, unless they are described as otherwise on the site. In the unlikely event that you should receive a single card that is not in the appropriate condition, we will naturally exchange it entirely at our cost. Our total liability under, or in connection with an order for all other Losses, whether in contract, tort or otherwise, shall not exceed the price paid for that order. We are not liable for any indirect or consequential losses of any kind whatsoever, whether in contract, tort or otherwise that arise under, or in connection with, any order placed. We are not liable for any direct loss of revenue or profits, damage to goodwill or injury to reputation, or loss of business opportunity or contracts, suffered by the other party under, or in connection with, any order placed. (b) a party's liability that cannot be excluded or limited by law. If you want to identify your data controller please see the "Who is my data controller" section below. We collect anonymous usage information about you whenever you interact with our websites and services. This includes which webpages you visit, what you click on, when you perform those actions, what language preference you have, and so on. We collect anonymous information from the device and application you use to access our services. Device data mainly means operating system version, device type, system and performance information, and browser type. We use third party tracking services that employ cookies and page tags to collect data about visitors to our websites. This data includes usage and user statistics. We collect your personal information or data from third parties if you give permission to those third parties to share your information with us or where you have made that information publically available online. You may require a Kool Kingdom account before you can use Kool Kingdom services. When you register for an account, we collect your first and last name, username, password, address, preferences, telephone number and email address. If you make a payment to Kool Kingdom, we require you to provide your billing details, a name, address, email address. Note these do not include account numbers or names. You are passed via a Gateway to the secure sites of industry leading payment service providers such as WorldPay and PayPal. We collect information from page tags and web beacons to allow us to determine the success of our advertising campaigns. We use your email address to send you marketing (newsletters), unless you indicate a preference to opt-out and for general updates on your account. You can opt out of marketing communications at any time by clicking on the "unsubscribe" link in them, or by e-mailing us. Creators if you use the "Remember me" feature when you sign into your account, we store your username in a cookie to make it quicker for you to sign in whenever you return to Kool Kingdom. We, or our service providers and other third parties we work with, place cookies when you visit our website and other websites or when you open emails that we send you, in order to provide you with more tailored marketing content (about our services or other services), and to evaluate whether this content is useful or effective. If you hold an account with Kool Kingdom we do not delete the data in your account - you are responsible for and control the time periods for which you retain this data. There are controls in your account where you can delete data at the account level (all data in your account) and at the response level. If you are a Respondent, you will need to ask the Creator how long your responses will be stored in Kool Kingdom services. Our services are not intended for and may not be used by minors. "Minors" are individuals under the age of 13 (or under a higher age if permitted by the laws of their residence). Kool Kingdom does not knowingly collect personal data from Minors or allow them to register. If it comes to our attention that we have collected personal data from a Minor, we may delete this information without notice. If you have reason to believe that this has occurred, please contact customer support. Under the Distance Selling Regulations, orders can be returned within 7 days of your receiving them in the case of retail (consumer) transactions. 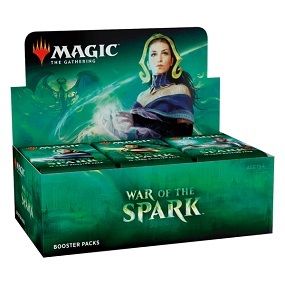 All Returns must be in like condition and, where original manufacturer sealed product is concerned, such as factory sealed booster boxes, still in original factory package where applicable. Customers are responsible for the costs of return shipping and all returns will be credited on receipt once approved. We advise that returns over £20 in value are sent by some for of recorded post for your protection. Trade orders placed on line from a wholesale account or over the phone cannot be cancelled or reduced, unless otherwise agreed in writing. This includes Pre-Orders and Special Orders. Pre-orders or Special orders cannot be cancelled or reduced once despatched. In the event that we subsequently agree to a return or partial return then no shipping costs are refundable and there may be a cancellation charge at our discretion, in line with our cancellation policy. Please e-mail us stating that you wish to return the goods. We will then send you an address label to use or provide the Return Address if you are happy to write the address yourself. Any returns should be sent back to the address provided or on the return label in their original packing (where possible) at your cost. Once we receive your return, a refund of the full purchase price of the items as stated on the invoice will be applied back to the credit or debit card used for the purchase for the actual item incurred in relation to the item. Where the order has included a free or reduced price item triggered by the value of the order, this item must be returned if the value of the order drops below the original trigger value as a result of the refund for the returned item(s). If the free or reduced price item is not returned the refund may, at our descretion, be reduced by the full normal site price for the item (less anything already paid for a reduced price item). Any per order discount applied may also be removed to reflect the revised order value if the qualifying threshold is no longer reached and any adjustment taken off the refund. When returning merchandise, please include a note with your order number and the details of the return. If you want to cancel an order before it has been despatched, please write to us or e-mail us to advise us and please check that you have had confirmation of the request and agreed any condition, such as cancellation charges (see below) in writing if necessary. Cancellation requests by phone can not be accepted. Please note that pre-order and special order goods can not be cancelled and if we agree to, we may raise a charge of up to 75% of the price paid, depending on how likely we are to resell the goods to another customer and in what timeframe. Following the YuGiOh card policy announcement from Upper Deck in May 2004, we introduced a new single card policy that we hope will benefit our customers by removing delays if specific cards occasionally temporarily go out of stock. 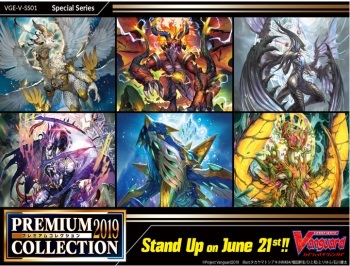 Most of these conditions are specific to YuGiOh cards because of the many editions that the same card can come from, but where applicable, they apply to MTG and Cardfight!! 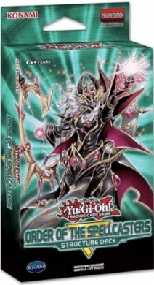 Vanguard single cards too. If we do not have the European or American edition that you ordered in stock, we may ship the other version at the same price. This is at our option and naturally we will always try to ship the exact card you have ordered. 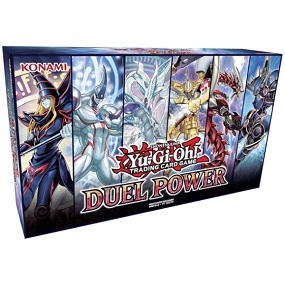 Where you have ordered a card from a re-print set such as a later Base Set edition, a Starter or Structure Deck, one of the YuGiOh Dark Revelations or Dark Beginnings sets, or a Tournament pack, Master Collection card or other promo card, we may ship the original version in its place, provided that the rarity value is at least the same or higher.We may also exchange one card from one reprint set for one from another reprint set, provided it is the same or higher rarity. 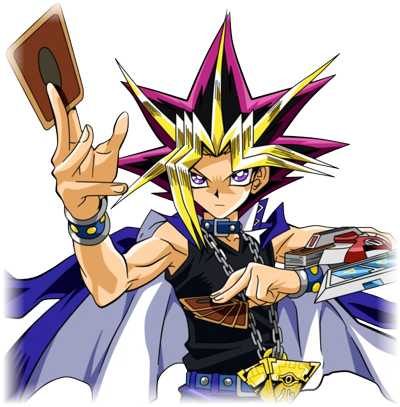 For YuGiOh cards, we will never exchange any card with a card from a starter deck without your permission, as these are always deemed to have lower value. We appreciate that you may not wish us to do this if, say, you are trying to complete a specific collection or you just want all your cards to be the same. In this case, please request in the third description field (comments on the site one) during check out that we do not make substitutions and we will make sure that we deliver exactly the cards you have ordered. We are happy to look at purchasing your unwanted Yu-Gi-Oh! Cards, including those we do not currently stock (reduced prices will apply). Please e-mail us with the e-mail subject 'Selling Cards' and we will send you back our latest Buy List. This takes the form of a spreadsheet template for you to complete which details the percentage that we are prepared to pay for various categories of cards. Please note that we change our price lists frequently, so if you do not return the spreadsheet by return it may no longer be valid. In this event we will use our latest buy list when pricing your cards. When you receive the Buy List, please list all the cards on this spreadsheet and the price for each in each category in accordance with our instructions and e-mail the spreadsheet to us separately when sending the cards to us. Otherwise the time taken to process all the cards will increase significantly and could take many months until we can allocate staff to look at it. Only Mint cards will be accepted. There may be a charge for processing if non mint cards are included or not all cards are listed (apart from bulk commons and rares where stipulated), which you are agreeing to allow us to offset against the value of the cards when you send the cards to us. Once the cards and your spreadsheet have both reached us we will start to process through the cards and may ship some to waiting customers before we have finished going through them all and are able to calculate the final payment that will be sent to you. We are mainly interested in the most popular and hard to obtain cards and we will pay up to 40% of our current site prices (net of VAT) for cards showing as back order or out of stock. Cards will be offered at blended bulk rates , irrespective of value, to keep our processing costs down. Please also note that cards submitted without a properly completed Buy List or not in Mint Condition will need to be checked in individually and we will charge for our time for this at our standard rates and recover the time cost and any post and packing cost of returning non-mint cards by offsetting it from the total value of your cards. This may also mean that there is a large delay in processing your payment. By sending your cards to us you are agreeing to accept these terms, so please make sure that all cards are in Mint condition and that you have completed the Buy List correctly. Cards sent in without an up to date Buy List or without a prior agreed price via e-mail will be treated the same. Payment will be made by cheque made out to the name supplied and the address given once we have checked and processed all the cards into stock. We reserve the right not to accept some or all of your cards, in which case we will return them to you at our cost. Please note that it is likely that we will start processing your collection soon after we receive it and this includes sending cards needed by customers to them. This means that once we receive your collection we will not be able to return it to you for any reason unless we decide to reject it ourselves. These terms and conditions for buying card collections form the entire agreement between us and override any offer made by e-mail or in any other form, including from any of our staff as they are not always aware of these terms in full. By sending your cards to us you are agreeing to these terms.